How do you get even more bang for your buck? must use promo code at checkout to receive free kit This week's free kit is You're Berry Sweetby Cutie Pie Scraps. What do you get when you combine pandas+baking+love? This adorable kit! The pandas are hard at work making berry pies for the ones they love. 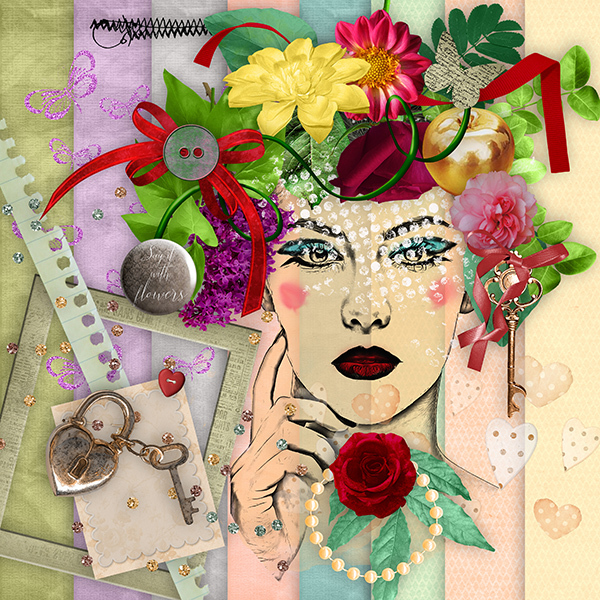 With striking backgrounds, fabulous florals, and a great mixture of other elements this kit is perfect to either create cards/valentines for those close to you or to showcase with photos of that special someone that you love! This sweet kit, normally priced at $4.99, is packed with 23 background papers, 112 embellishments, and 26 monograms! 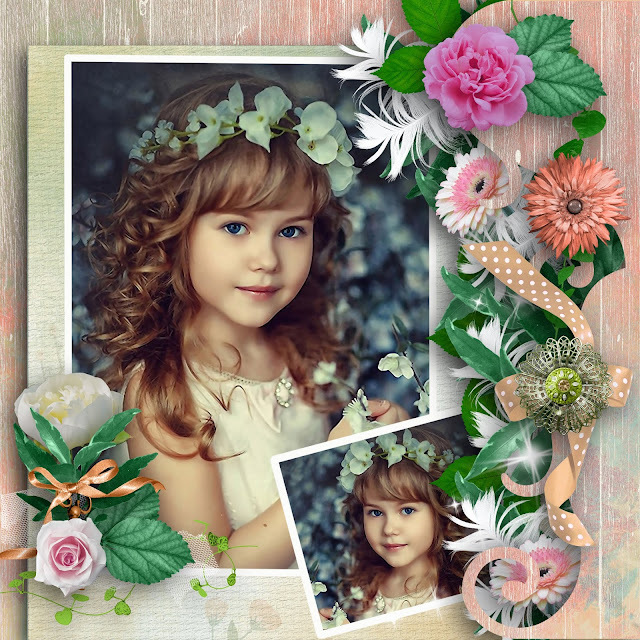 This kit is fitting to pair with those photos of those cherished memories that you have with your loved ones! I'm living near a wonderful animal park and I have a lot of pictures to scrap. 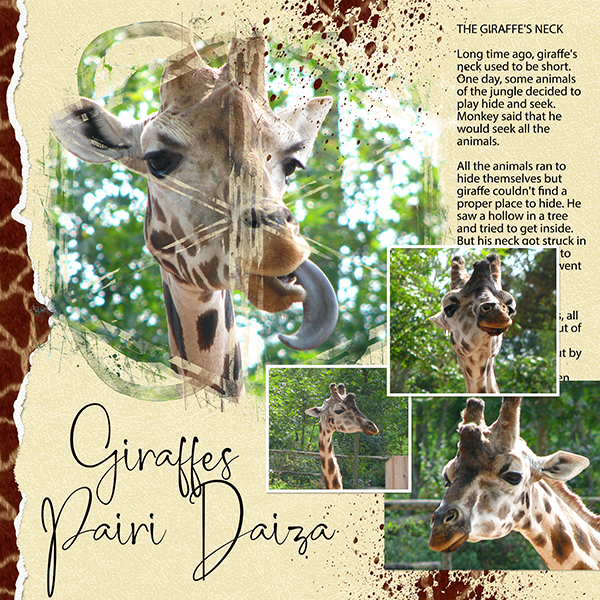 This time, I chose the giraffes to make this layout for a mask challenge by HSA on forum MyMEMORIES. 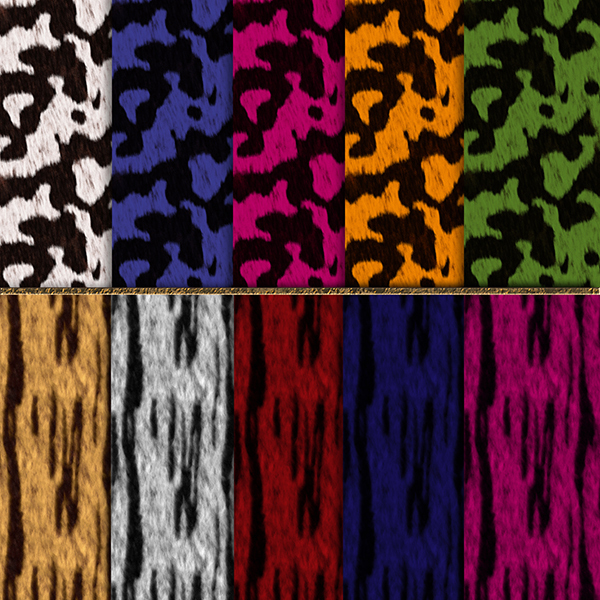 It was also an opportunity to use one of my animal prints papers available in my both stores (3 packs full of colors). Have a look ! Do you love flamingos and holidays ? Then, this wonderful colored bundle is for you ! You'll be surprised to discover how many layouts you can make with it. Especially if you can use clipping masks. Grab it here before April 19th to save 25%. Animal prints are very trendy this year. Why not add some in your layouts ? I made 3 differents packs. 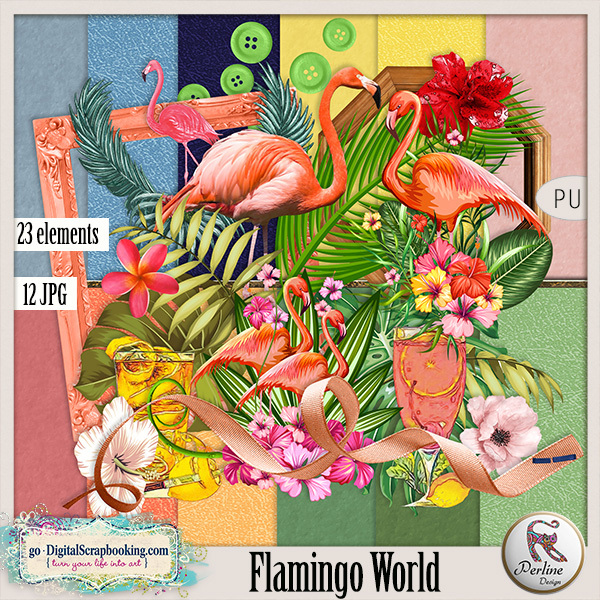 Do you love flamingos and holidays ?Then, this wonderful colored bundle is for you ! And to help you start with it, I created a lesson : How to create your first layout with MM9. Read it on MyMemories blog on April 7th and come back on April 21th for the second part. I'll post the lesson here when both parts will be published on MyMemories Blog. Come back on April 21th. You can create all style of layouts with this collection. Have a look to these one and you'll be convinced. Although it is not a big kit, there are many opportunities to make beautiful layouts.